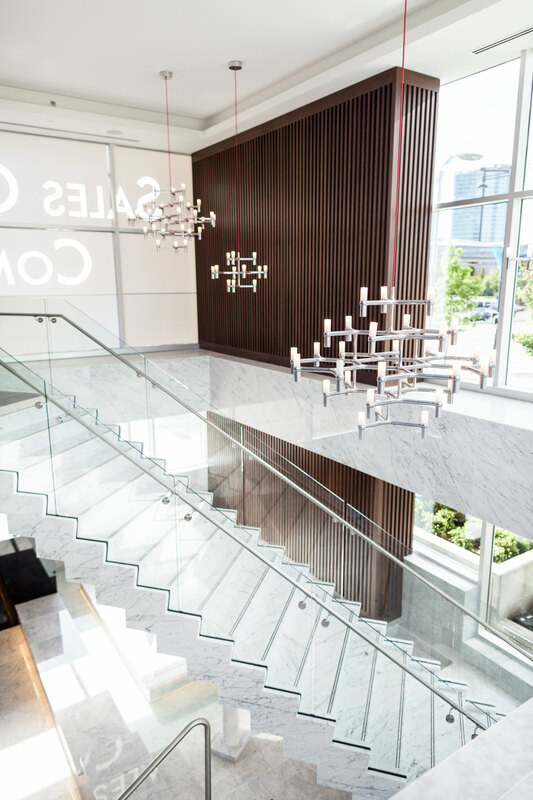 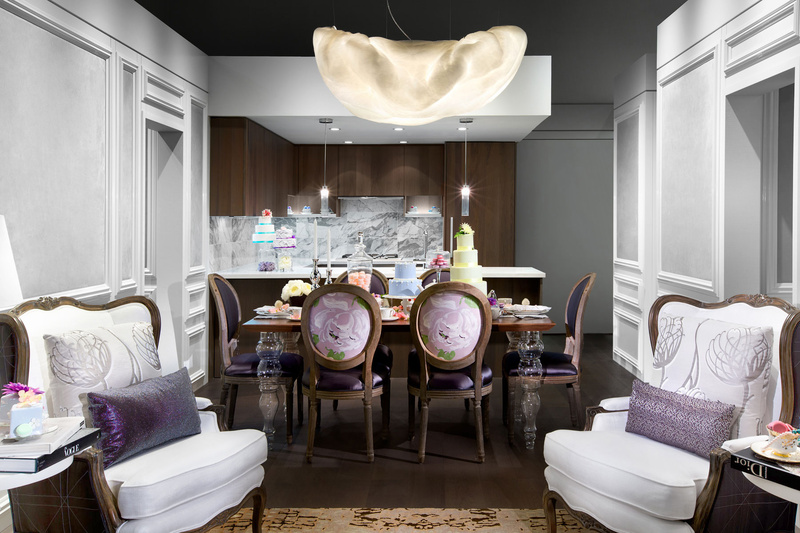 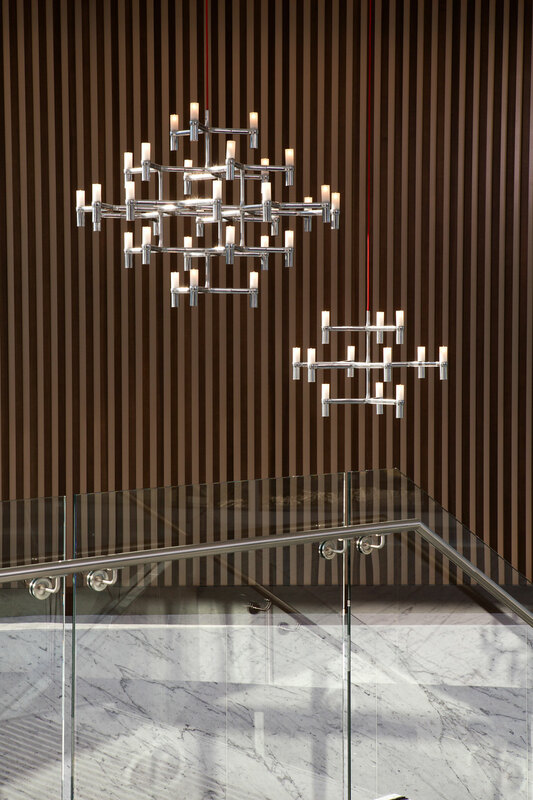 Contemporary glamour inspired the design of this Concord sales centre. 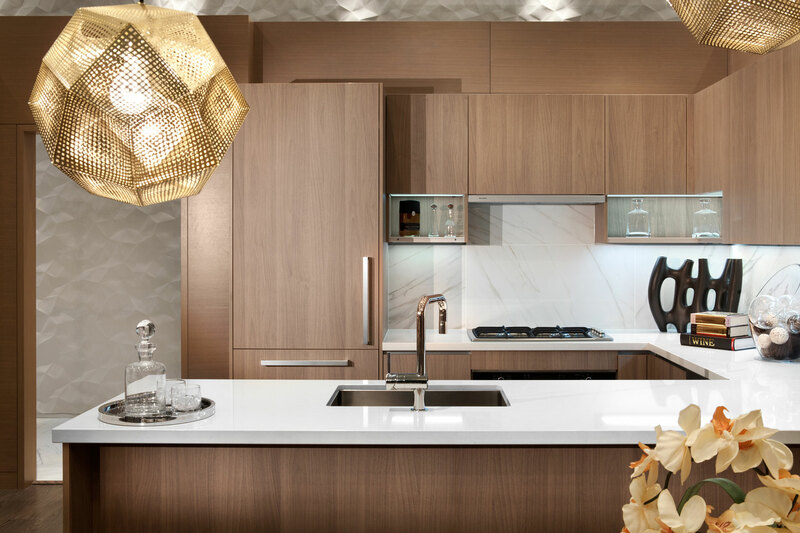 Using the finest quality materials like Bianca Carrara marble and walnut paneling, a sense of old world gravitas grounds the spare, cool, modern aesthetic. 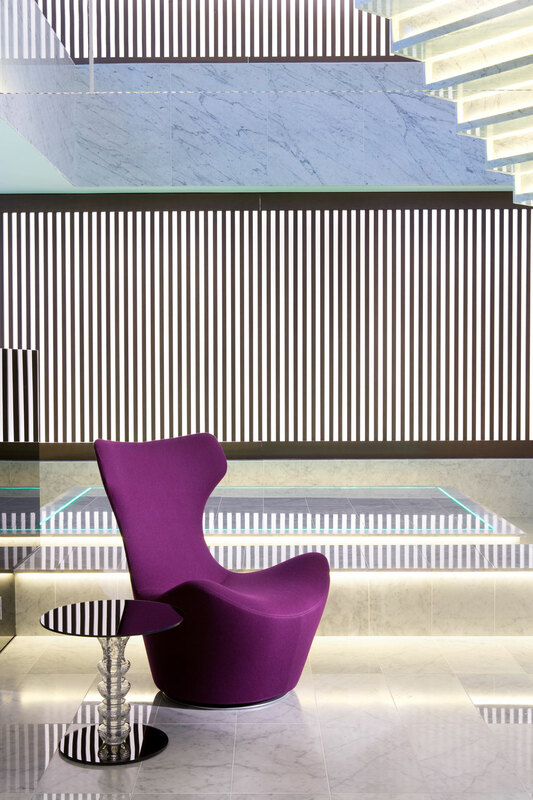 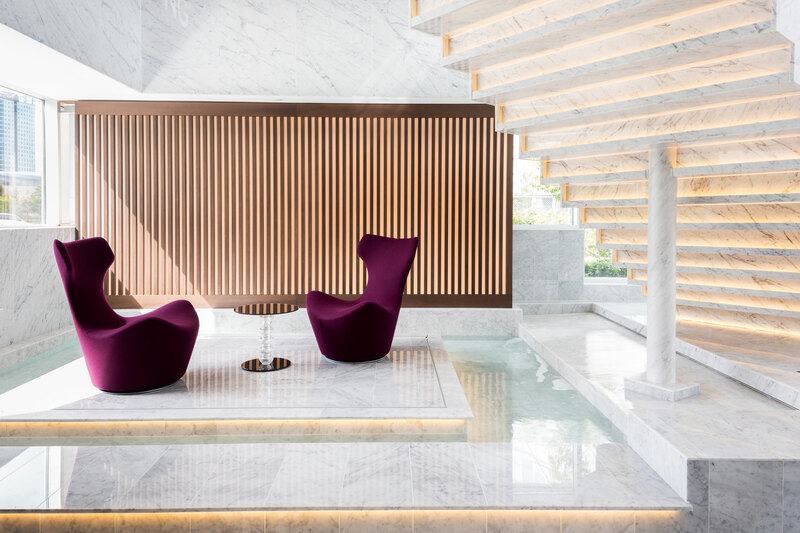 An exquisite water feature on the main floor offers a sense of cohesion and serenity and the perfect place for conversation and contemplation. 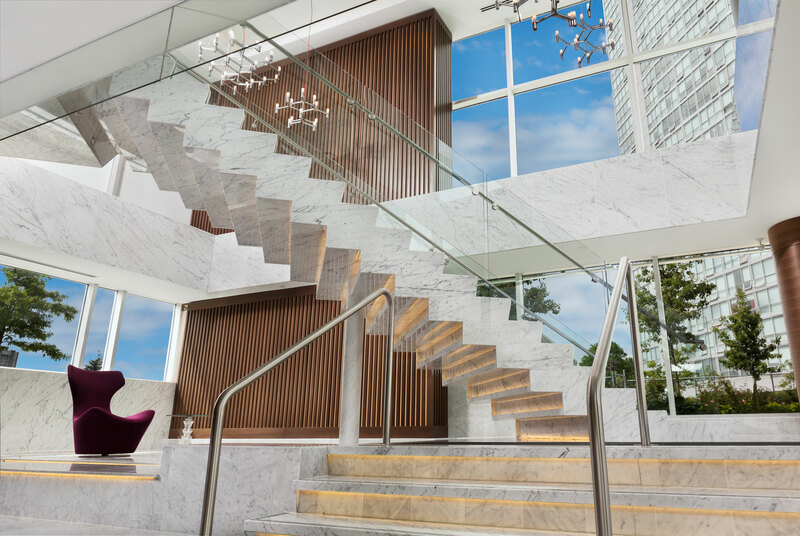 The focal point is a spectacular marble floating staircase, with glass balustrade and illuminated steps inviting visitors to a bright, open space on the next level that blends Asian and Italianate flourishes in a modernist vision for the fasted growing community in BC.